The downside to spending the week between Christmas and New Year’s in Denver with grandbaby Josephine? Missing the chance to ice skate in downtown Cookeville. I never even got to see the temporary rink, which must have been a challenge to keep frozen given the balmy Tennessee temperatures in late December. The upside was that I got to skate on real ice surrounded by the snowcapped Rocky Mountains. No danger of melting at Evergreen Lake. The temperature when we arrived early in the morning was seven degrees. It had barely reached double digits when we finished. When daughter Meg and son-in-law Andrew hatched the plan to go skating, I was gung-ho. Until I realized I couldn’t pinpoint the last time I’d been on ice skates. The first time, I was seven years old and on a shallow frozen pond near our home in East Brunswick, New Jersey. 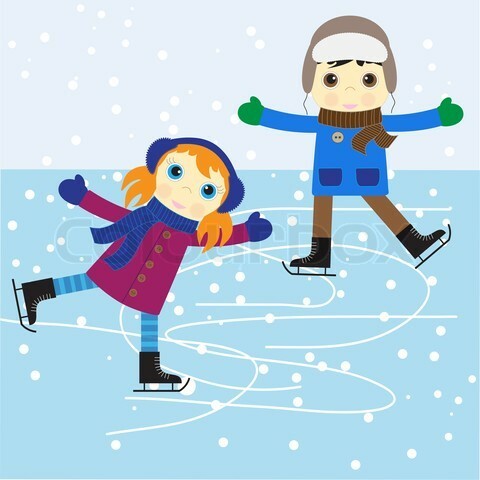 My brother and I, wearing double-bladed skates, took to the ice as though we were born to it, perhaps because we’d learned to roller skate not long after we learned to walk. I skated on ice only twice after I moved back south—once at a rink in Atlanta when I was in college and once at Ober Gatlinburg right after I turned forty. Luckily, the rink was set up for inexperienced skaters. It was surrounded by a soft snowbank perfect for falling into without hurting yourself. I know this because I hadn’t been on the ice 15 seconds before I put that snowbank to the test. The rink also offered green plastic “cheaters,” fashioned after the walkers you see in hospitals and nursing homes. After that first fall, I nabbed one and made it around the circle with confidence. But that wasn’t really skating, any more than riding a bike with training wheels is really bicycling. So I handed my cheater off to a little kid and immediately fell again. Only this time, I landed on the rock-hard ice. It hurt like the dickens but I finally managed to stand up and get going again. “Push, glide,” I told myself. “Push, glide.” I completed an entire circle without falling. Hmmm. This wasn’t so hard after all. In fact, it was almost fun. Maybe I should go a little faster and try swinging my arms the way real skaters do. As soon as I did, my feet slid out from under me and I crashed onto the ice. I lay sprawled there for what seemed like a long time, certain that I’d fractured my hip, elbow or wrist. Maybe all three. As it turned out, I hadn’t. But I was exceedingly glad to grab a cheater and hobble back to the lodge. It was past time to take over as Josephine’s bruised-but-not-broken babysitter.